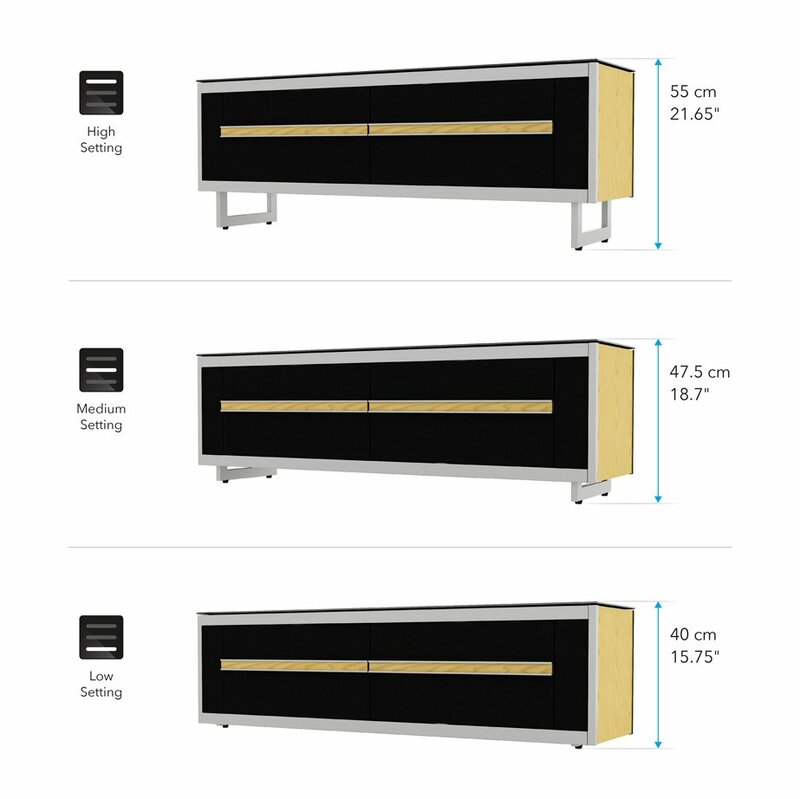 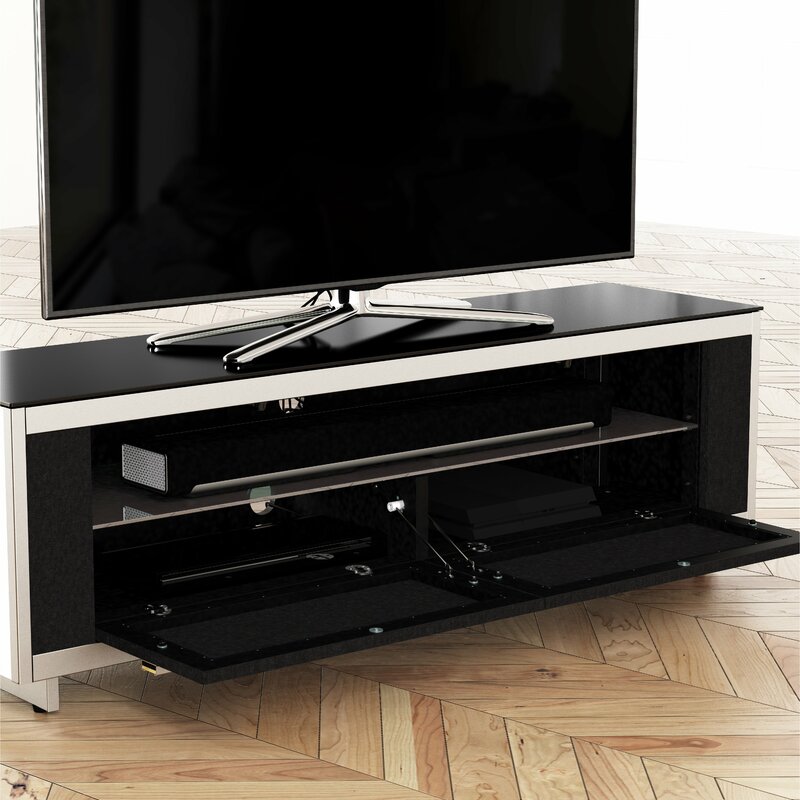 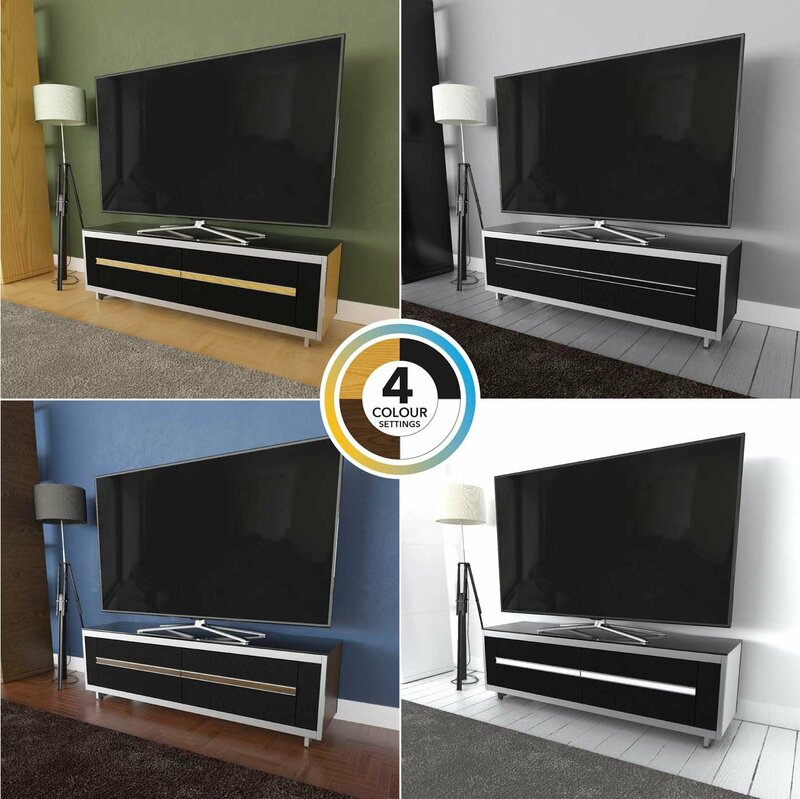 This sophisticated TV Stand includes a choice of four colour side panels with a matching front accent strip (Oak, Walnut, Black and White included), plus generous internal media storage hidden behind remote and audio friendly fabric doors. . 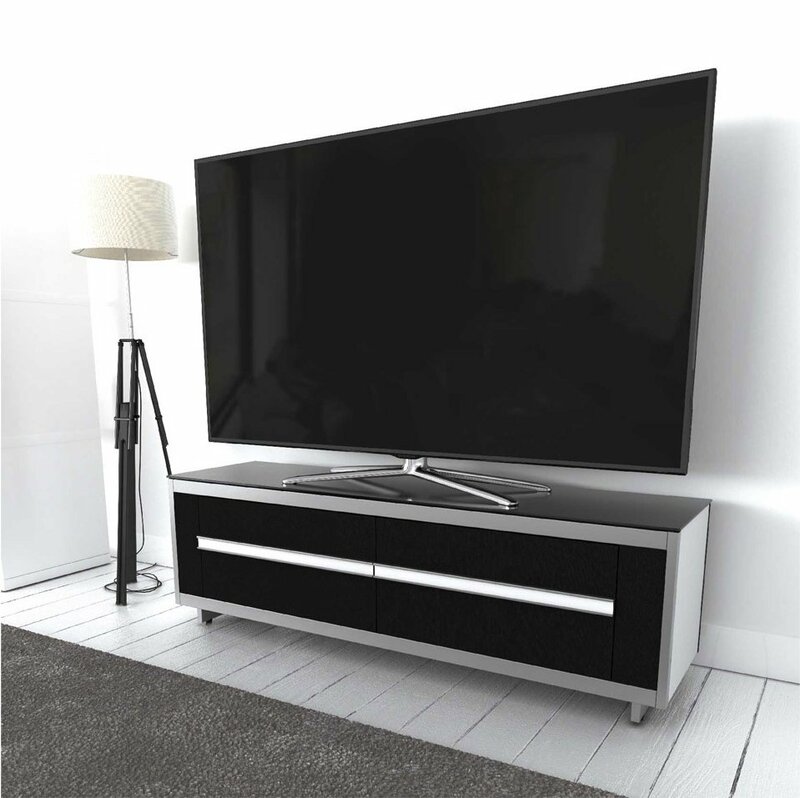 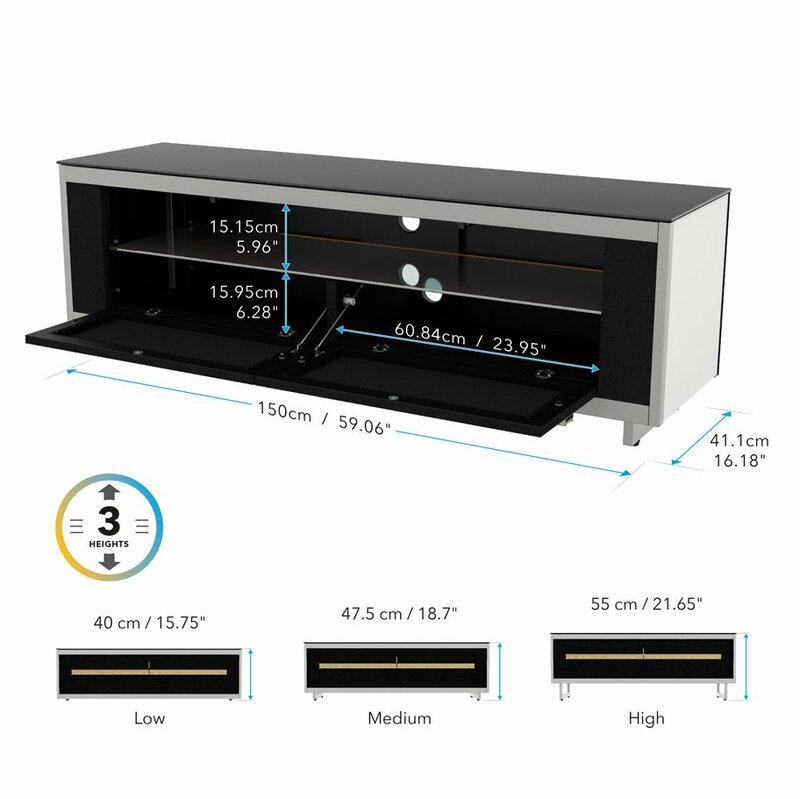 Speakers or a Sound Bar can be positioned internally, while the adjustable legs have micro adjustable feet to counteract uneven floors and offer three height settings, enabling you to achieve your perfect TV viewing height.